"Bach trifft China" Eine west-östliche Klangreise mit Werken von J.S. Bach, C.P.E. Bach, Xuntian He, Yi Chen und Peng-peng Gong.
" 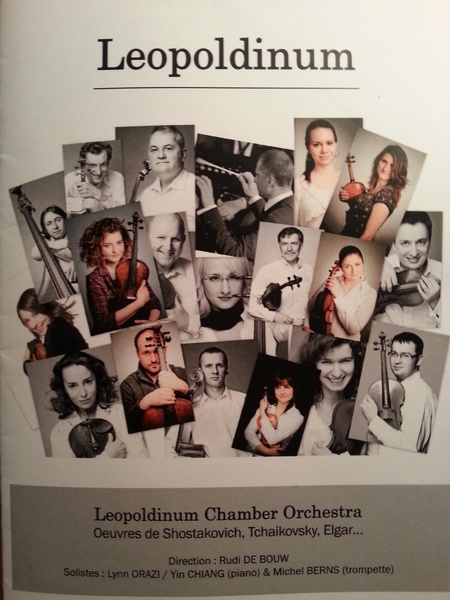 Am Leben Sein" Konzert mit Musik von Shoko Shida, Giacinto Scelsi und anderen. "A Musical Journey of a Woman"
29. 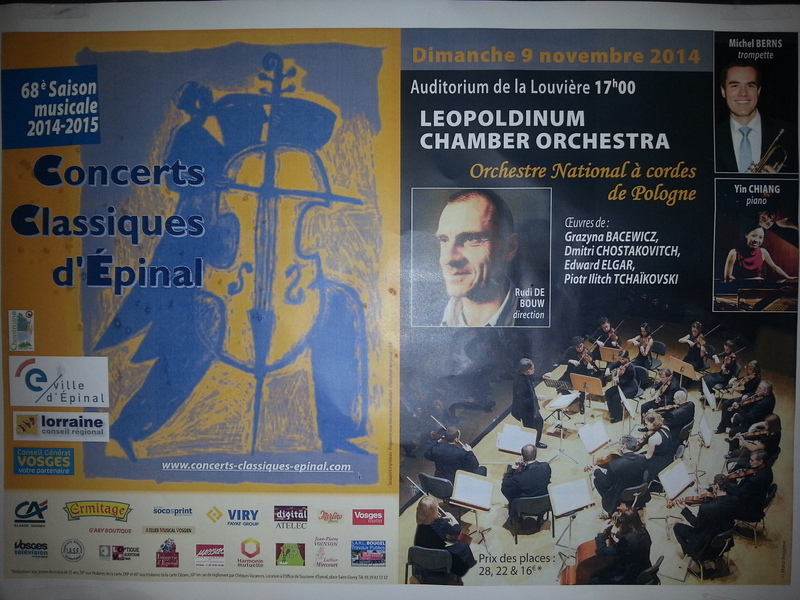 Sep. 2013 Festival " Music with Innovative Expressions"
30. 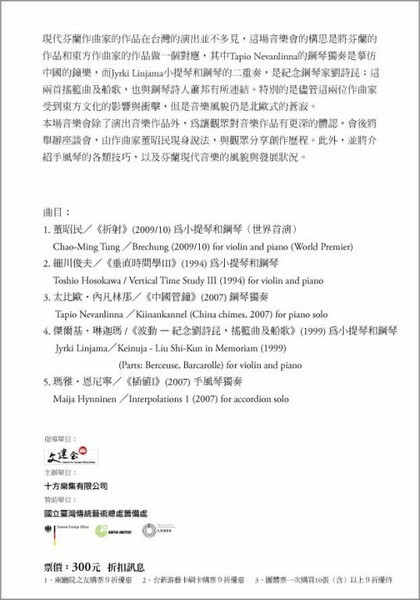 Oct. 2012 Shanghai Concert Hall "Afternoon Concert"
Workshop with Tristan Murail, Xu Shuya and Jia Daqun. 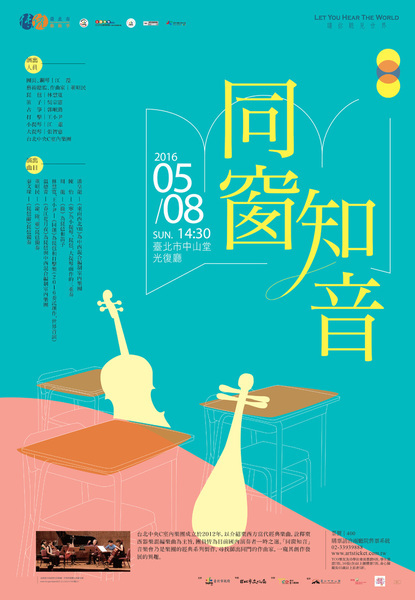 Lecture Hall – Orient and Occident, Music by Toshio Hosokawa and various Finnish composers. 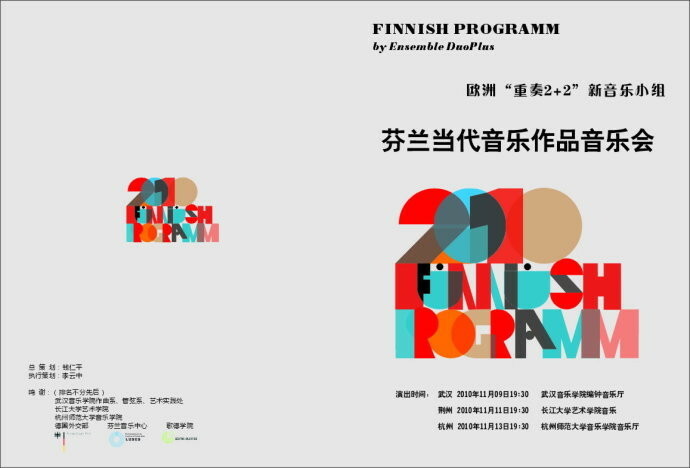 07 Nov. 2010 “Contemporary music from Finland” at the Nanjing Arts Institute. 09 Nov. 2010 at 10:00 Masterclass at Wuhan Consevatory of Music. 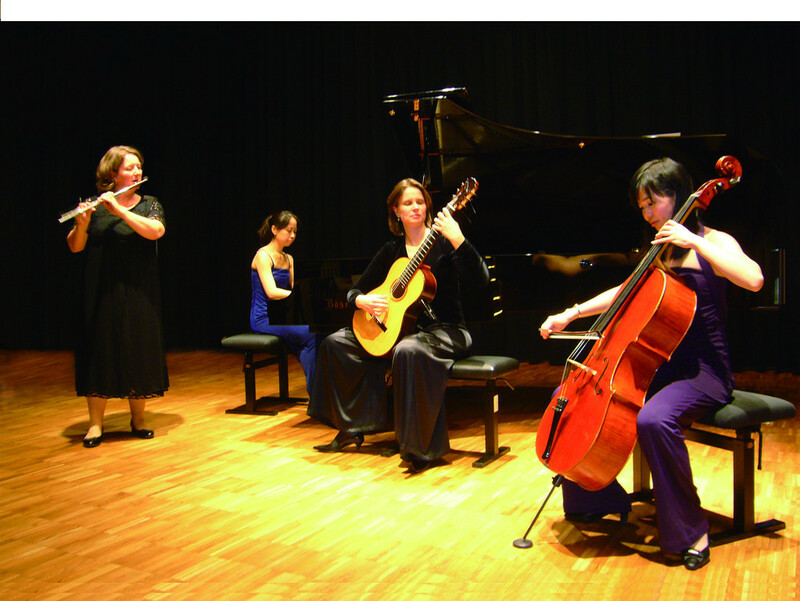 09 Nov. 2010 at 19:30 “Contemporary music from Finland” at Wuhan Conservatory of Music. 11. 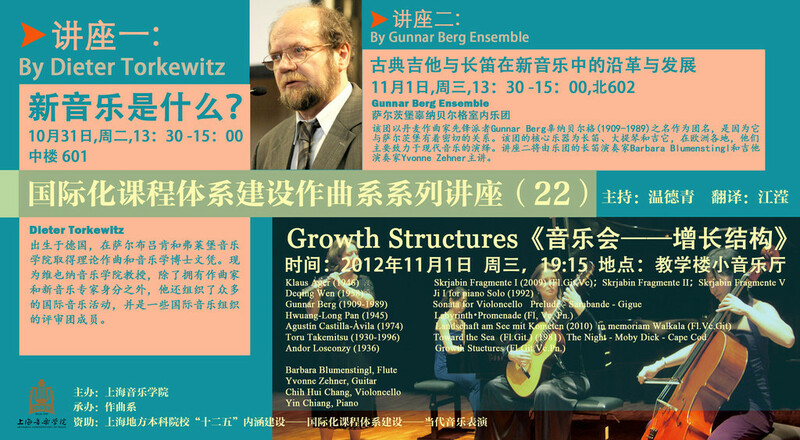 Nov. 2010 at 19:30 ”Contemporary music from Finland” at the Changjiang University in Jingzhou. 13. Nov. 2010 at 19:30 ”Contemporary music from Finland” at Hangzhou Normal University. 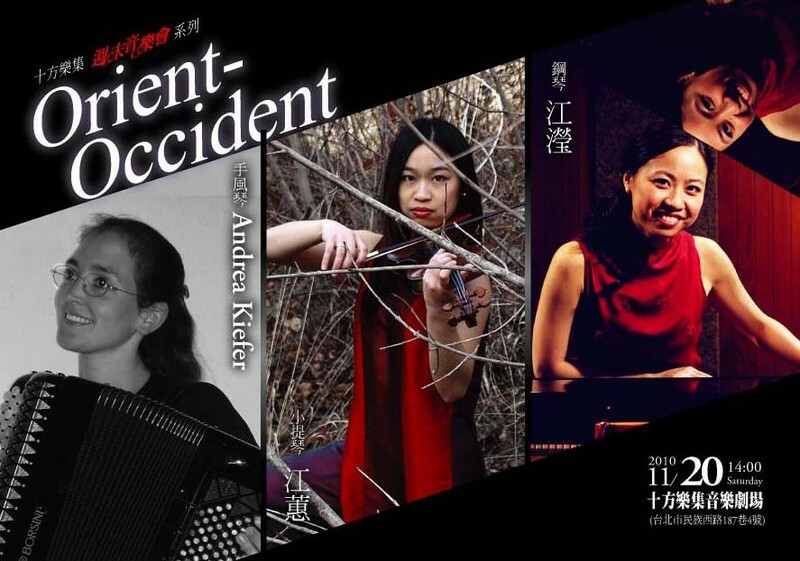 The concerts in China will be performed by the modern music ensamble DuoPlus: Andera Carola Kiefer (accordion), Ingolfur Vilhjalmsson (clarinet), Huei Chaing (violin) and Yin Chiang (piano). 16. Nov. 2010 Workshop about Zeitgeist for art-teachers in Taipei. 17. Nov. 2010 Masterclass in the Jen-Ai Junior High School. 18. 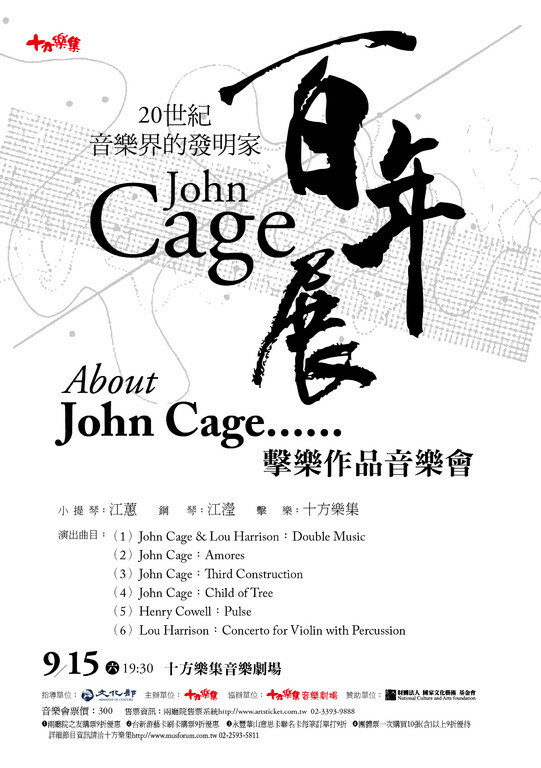 Nov. 2010 15:00- 17:00 Concert and Masterclass in the Taipei Municipal University of Education. 19. 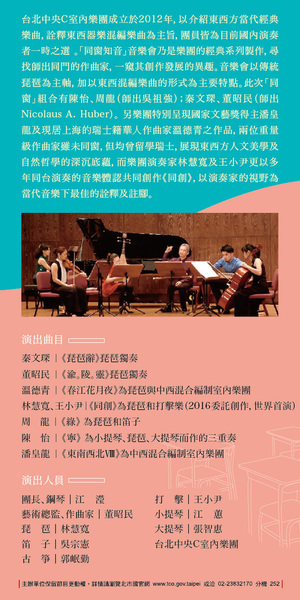 Nov. 2010 16:00-18:00 Masterclass in the Affiliated Senior High School of National Taiwan Normal University. 20. 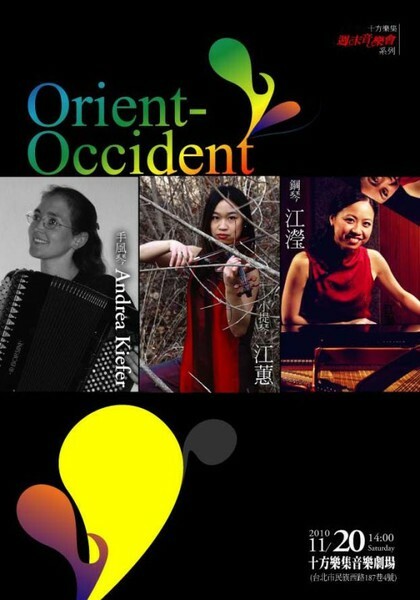 Nov. 2010 at 14:00 Concert “Orient-Occident” in the Forum Auditorium Taipei. 23. 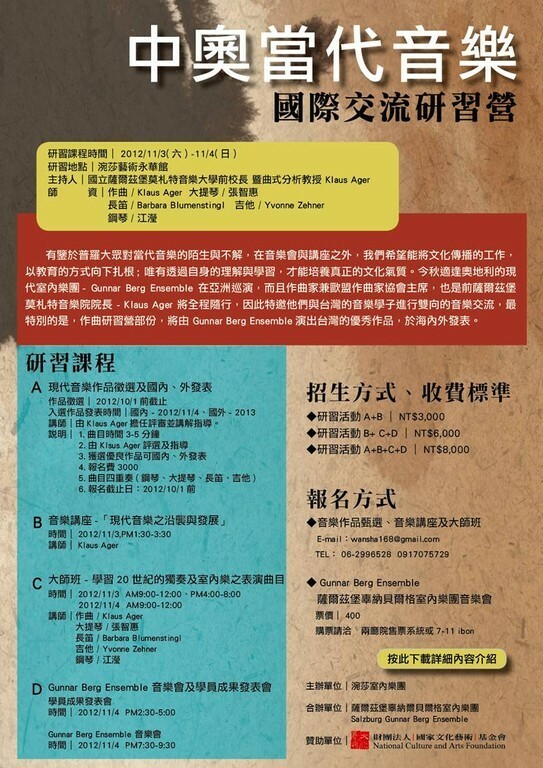 Nov. 2010 12:00- 14:00 Masterclass and Workshop about contemporary piano music in the National Taiwan Normal University. 25. 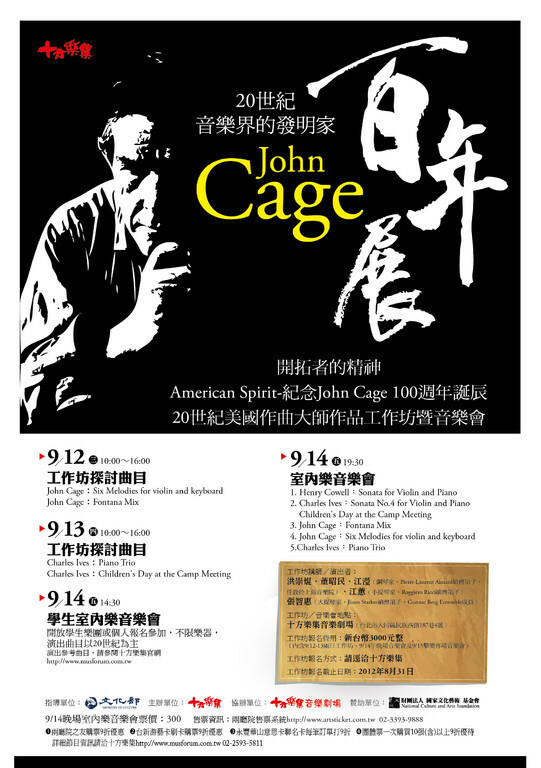 Nov. 2010 12:00-14:00 Masterclass at the National Taiwan University of Arts. 02. Apr. 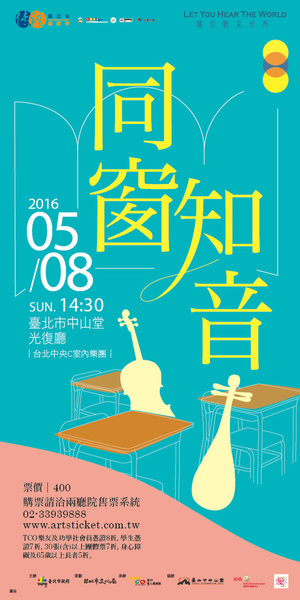 2010 Concert in the the National Kaohsiung Performing Arts Center (Wei Wu Ying). 05. Apr. 2010 Workshop at the National Hsinchu University of Education. 06. Apr. 2010 Workshop at the National Chiao Tung University. 07. Apr. 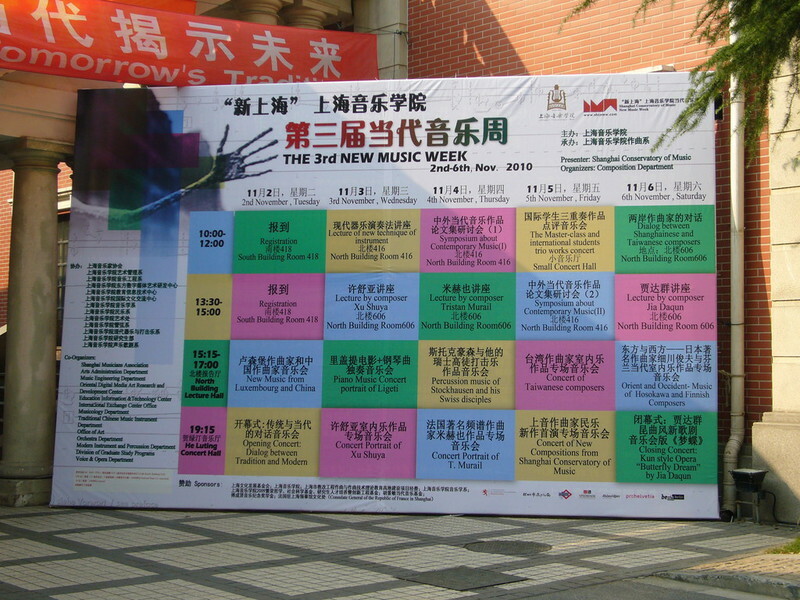 2010 Concert in the Arts Center of the National Chiao Tung University. 08. Apr. 2010 Workshop about contemporary music in the Yamaha Artist Center Taipei. 09. Apr. 2010 Concert at the National Recital Hall Taipei. 12. Apr. 2010 Masterclass in the Jen-Ai Junior High School. 13. Apr. 2010 Workshop about Sonata by Luciano Berio at the Taipei National University of the Arts.